these are so incredibly satisfying and delicious and they only take about 5 minutes to make! and if you make a little less filling (or get a burrito sized tortilla) you could even roll them up and take them to eat on the go! these are such a great savory breakfast option if you ever feel like you need to switch things up. go make some! 1 2 mins. 5 mins. 7 mins. heat a nonstick pan over low-medium heat. spray with oil. saute the sausage for a couple minutes until browned. add eggs and scramble them as the cook. while the eggs are cooking, dice the avocado and chop up some fresh parsley and cilantro. once the eggs are cooked, season them with salt and pepper and then add the shredded mozzarella. let it sit on the eggs in the pan until it melts slightly. toast the tortilla by placing it on a lit stove top until it is slightly crispy. 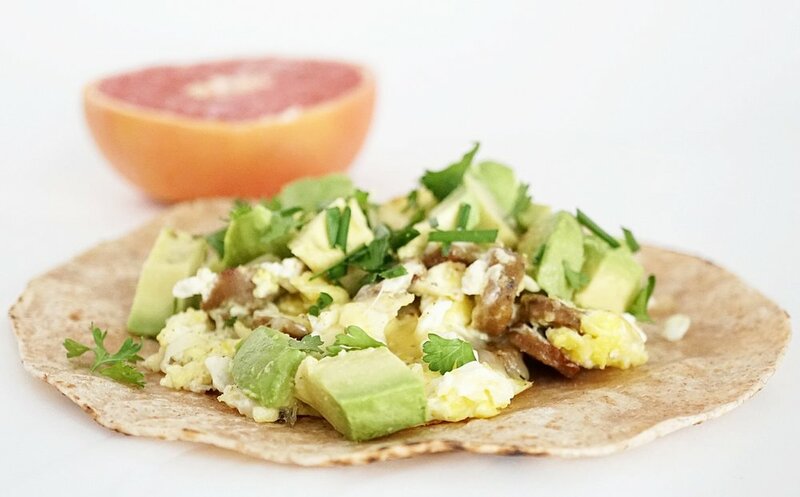 transfer egg and sausage mixture onto the tortilla and top it with avocado, parsley and chives. 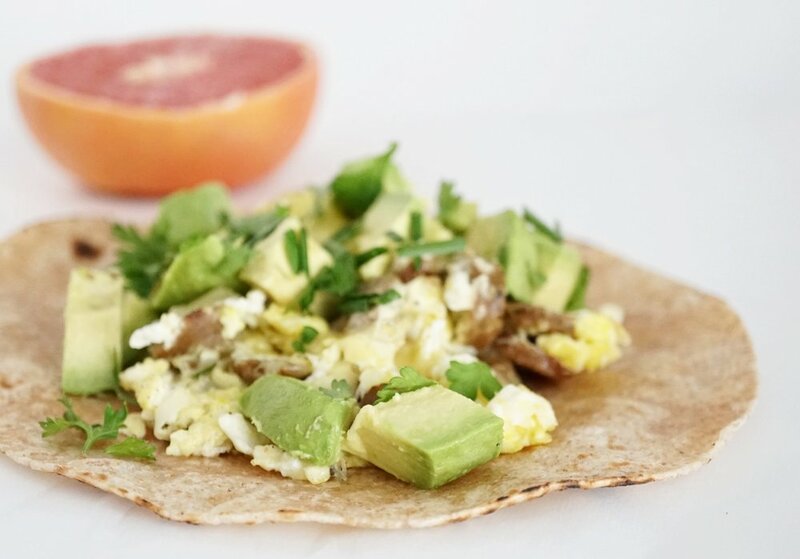 mash the avocado onto the tortilla before adding the eggs and leave off "the green stuff" for your little one!